Step right up! Come take part in the county fair, where you’ll see fractions, decimals, and percents everywhere. Gobble up a fraction of pie, boost your batting average in the arcade, and take a percent off the price of a toy. Learning about equivalent parts equals a whole lot of fun in this straightforward introduction to a challenging concept. This book takes you through the concepts of understanding what fractions, decimals, and percents are, how they are related, when to use them, and how to convert one to the other. It's simple and clear language makes this a great book for students even in the younger grades. 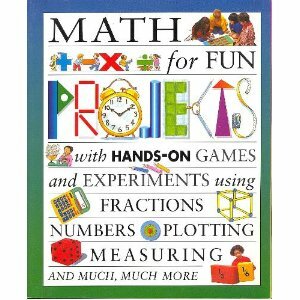 For grades 2-4 - This book is perfect to use as an introduction to fractions. It gives hands on activities that students can follow along with. The bright, colorful illustrations also help make learning fractions much less intimidating. Petey wishes on the first star he sees, but instead of the dollar he hopes for, he gets only a quarter. The next night his little brother Joey wishes for a cookie--and gets just half of one. The twins, Sally and Samantha, don't fare much better. Try as they might, the children each wind up with a fraction of what they wished for. Can they figure out how to combine their wishes to wind up with one whole, happy pet? This book introduces the concept of fractions in an enjoyable story format. Fractions are everywhere you look-on the play-ground, at school, even at birthday parties! When it comes to counting money, playing games, or making sure you get your fair share of the pizza, fractions are there to help you. Add David A. Adler's handy text to Edward Miller's lively art and you get not just a fraction-but a "whole" lot-of fun. Don't Just Learn Fractions ...Master Them! Brimming with fun and educational games and activities, the Magical Math series provides everything you need to know to become a master of mathematics! In each of these books, Lynette Long uses her own unique style to help you truly understand mathematical concepts as you play with everyday objects such as playing cards, dice, coins, and paper and pencil. Inside Fabulous Fractions, you'll find out all about fractions, from what they look like to how to write them, to the relationship between fractions and decimals, and more. While playing exciting games like Super Domino ESP and Reduce It!, you'll learn about proper fractions and how to reduce them. And with games like Combination Pizza, Fraction Jeopardy!, and three-in-a-Row-Bingo, you'll learn to add, subtract, multiply, and divide fractions while you have fun! So why wait? Jump right in and find out how easy it is to become a mathematics master! I really love how this book is organized. It separates the games and activities by the fraction skill that you are learning. Using interactive projects, readers discover math concepts through familiar objects and situations, the natural world, models, simple experiments, and games. Most of these projects are for younger students. This book has a lot more than just fraction activities.